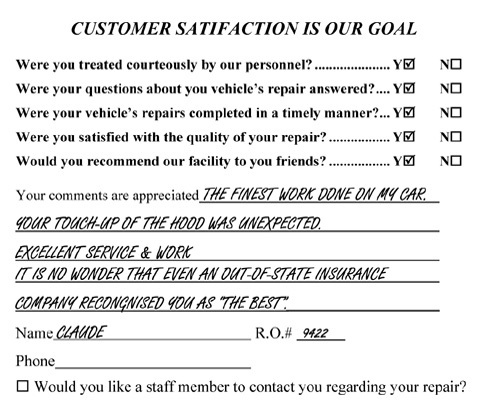 I wanted to enclose a letter to thank Jim and Boggs Auto in general for the outstanding service I received. Not only was my BMW bumper beautifully fixed in a very timely fashion, I feel as though I was treated honestly and professionally. 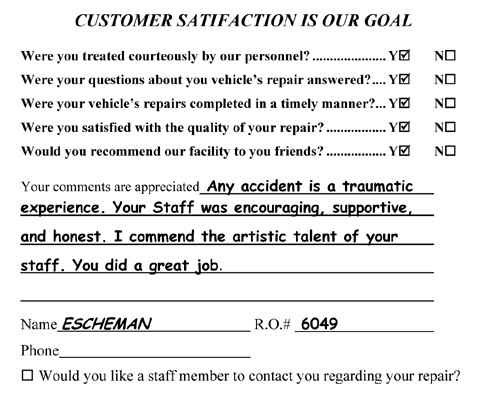 As a single woman it can be intimidating getting quotes from auto shops. Many times it is common for a woman who knows nothing about autos to be taken advantage of. 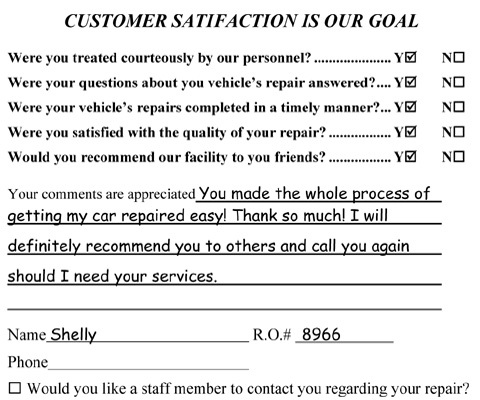 I received several quotes on my car and was not treated as kindly as I was at Boggs. Furthermore, the price at Boggs was a few hundred dollars less. I was further surprised and impressed when my car was quickly ready and Jim told me that I actually owed LESS money then the original quote because the parts ended up costing less. To top things off, when I went to pick up my car after closing hours, Jim was about to re-wash it because the lawn had been cut and a few grass clippings were stuck to it. Talk about great service! In a world where service has seemed to go to the wayside, it is wonderful to know there are still businesses that care about their customer and their own reputation. I will certainly spread the word to everyone I know and highly recommend Boggs Auto Rebuilders. Thank You! I have never been treated so professionally or courteously by males in the automotive industry. No one ever spoke down to me & I was always felt as if I were the only customer!! I was extremely pleased. Everyone was kind. 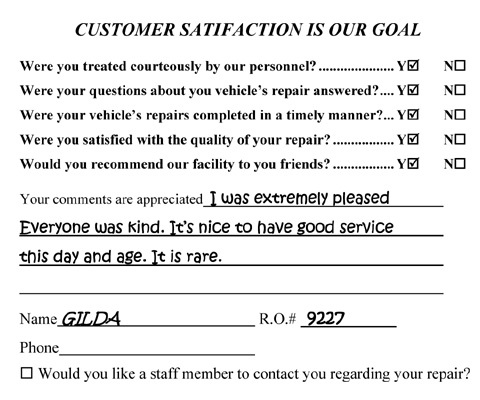 It's nice to have good service this day and age...it is rare. Everyone who has seen my car has complemented your work. 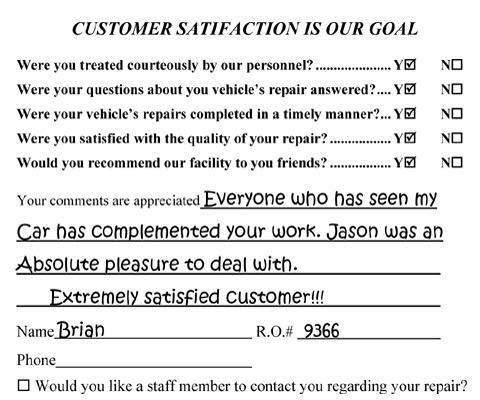 Jason was an absolute pleasure to deal with. 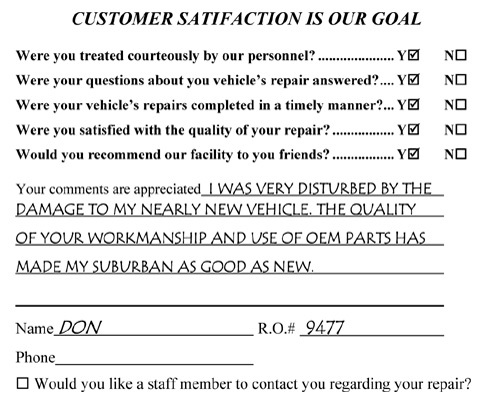 Extremely Satisfied Customer!!! 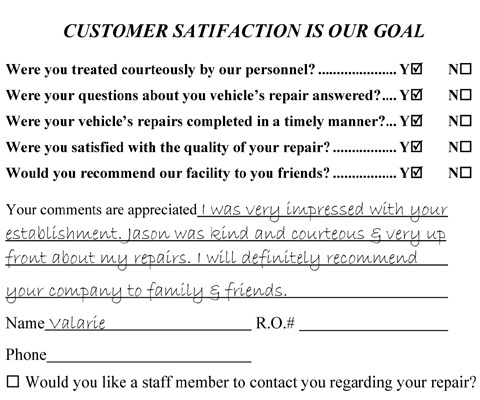 You made the whole process of getting my car repaired easy! Thanks so much! 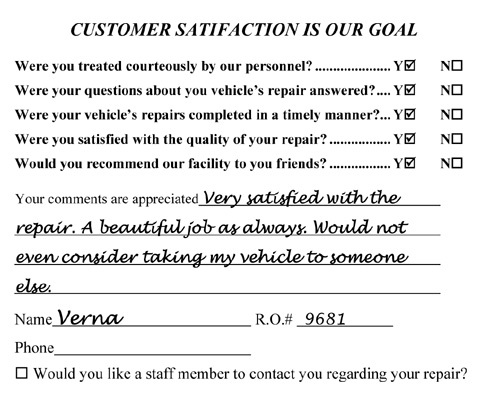 I will definitely recommend you to others and call you again should I need your services. Thank you, Our business continues to grow due to your referrals.